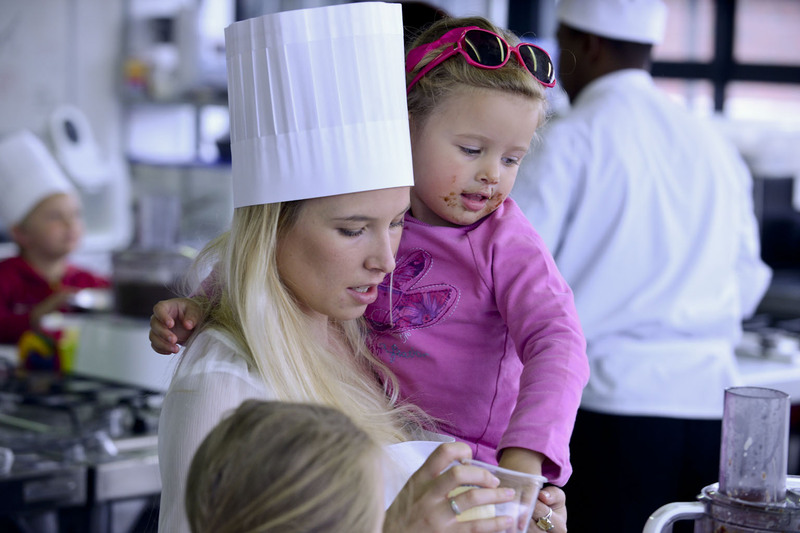 A couple of Saturday’s ago – when it was really rainy and wet in Cape Town, I bundled my kids up into the car and we set out for the SA Chef Academy in Observatory. 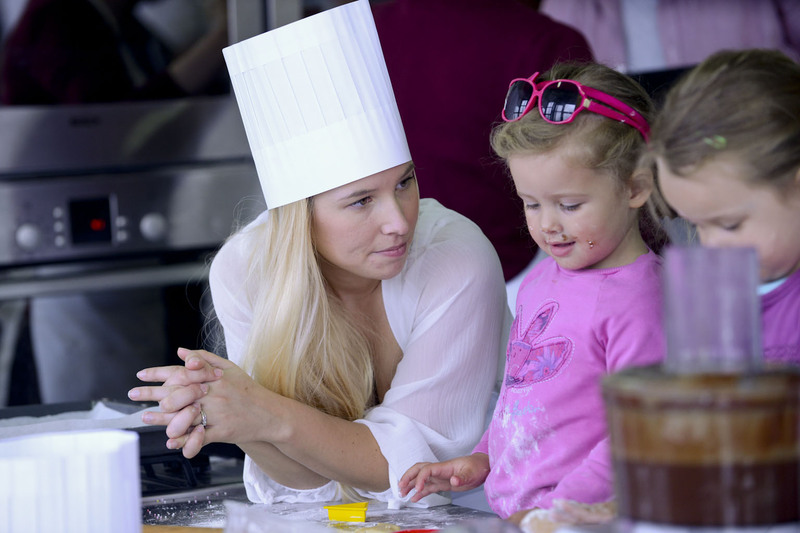 The order of the day was to go and bake a cake with my girls… While competing with 3 other Mommy Bloggers for the prize for Loots 10th Birthday! In case you missed it on Facebook and haven’t already seen the video of all the action of the day – go an check it out. 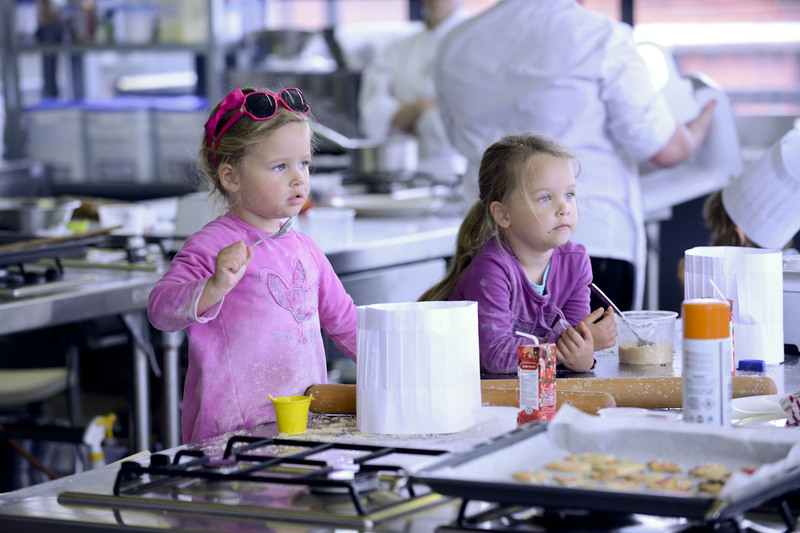 I’m usually behind the scenes so I still can’t get used to seeing myself on camera, but LOVE that they got all the precious moments of the girls destroying the kitchen, um I mean enjoying themselves! • Bring the cream and the glucose up to the boil. 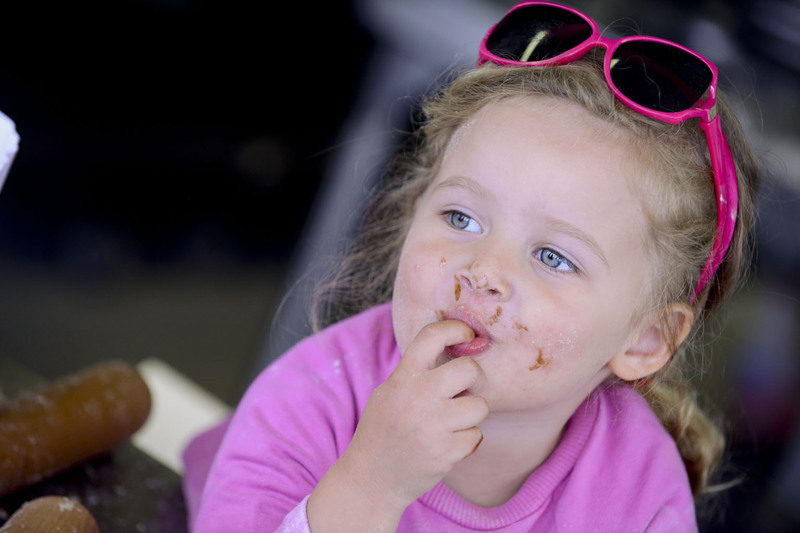 • Allow to cool to 85 C, add to blitzed chocolate. Having our cake not only viewed, but TASTED by Vicky Gurovich, Head Pastry Chef at The Mount Nelson Hotel was just a little bit daunting, but she was so lovely and really made me feel at ease when she didn’t pull a face when trying our cake. Although we didn’t win the prize, we really did have a fantastic time making our cake unique to 3 Kids, 2 Dogs and 1 Old House. As you can see by Loot‘s official release below, our kids were a bit younger than the rest. But besides eating pretty much all the toppings and leftover batter and biscuits and anything else that was sweet that they could lay their hands on, I think they did a really great job and I am so proud of them for being there to help me! November 2013: Loot.co.za, a leading South African online retail store, celebrated its 10th Birthday this year. 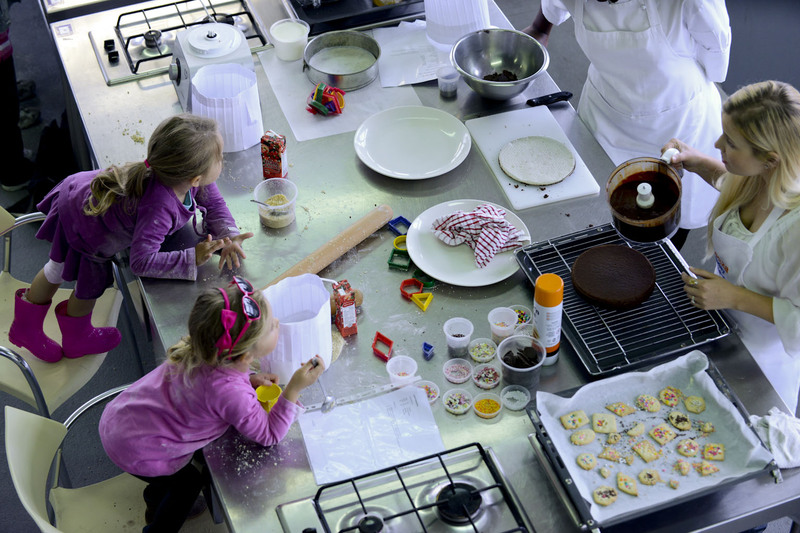 To commemorate the milestone, Loot invited South Africa’s top food and parenting bloggers to compete in the ultimate birthday bake-off! 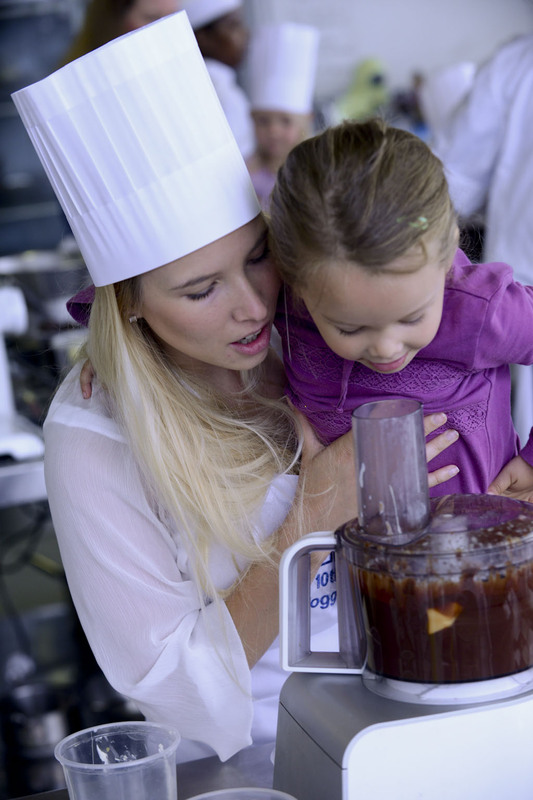 Moms were asked to bring their own little ‘masterchef’ apprentices aged between 5 – 9 years along, while foodie bloggers went head to head to make a death-by-chocolate ganache. 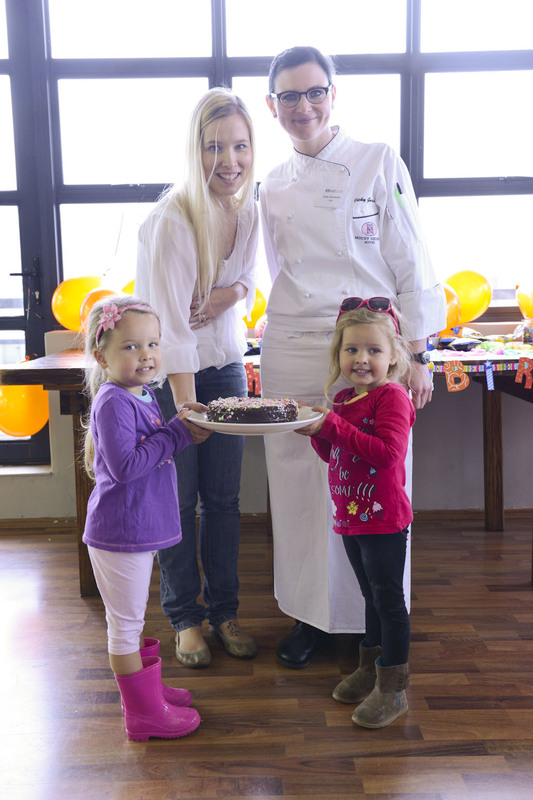 Cakes were judged by Vicky Gurovich, Head Pastry Chef at The Mount Nelson Hotel, Cape Town. 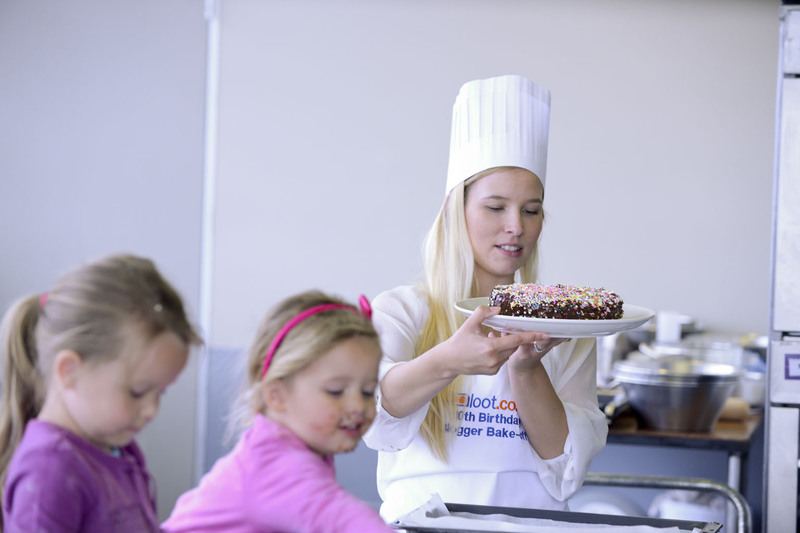 All the resulting blogger baked cakes were shared over candles and the singing of Happy Birthday with the St Anne’s Children’s Home in Woodstock, a haven for destitute, abused and disadvantaged mothers and their children. 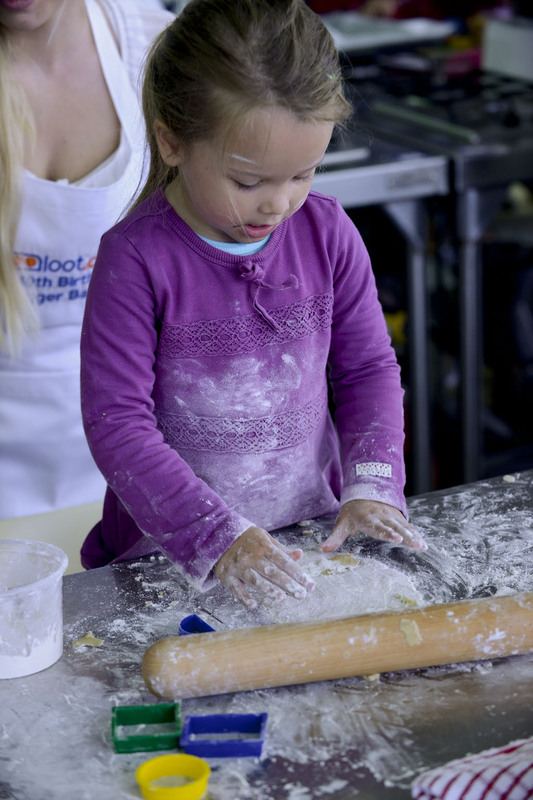 Sticky fingers, flour and an abundance of cake toppings were the order of the day! Because Loot have now opened up a unique new section on their offering – The Kitchen and Dining – they are giving me 3 R100 Vouchers FOR YOU to use this new section. 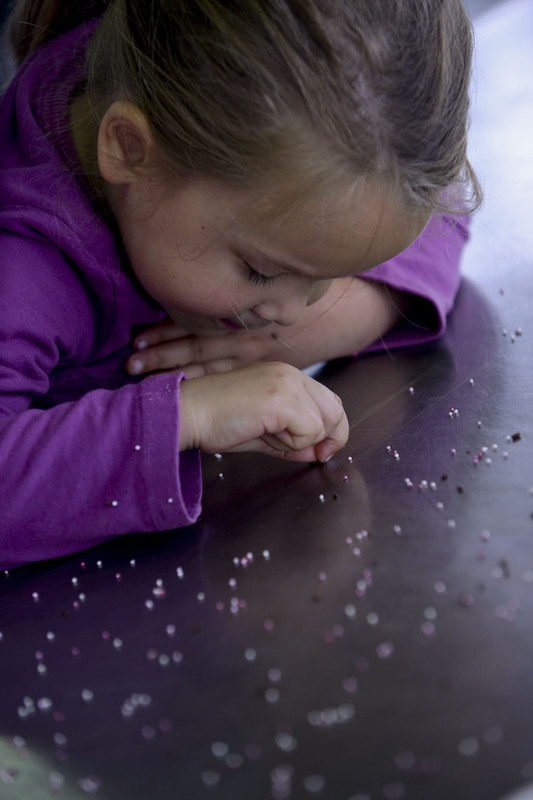 To enter LIKE 3 Kids, 2 Dogs and 1 Old House and leave a comment below to let me know what you would get – I know that because I have been inspired to do this kind of thing more often with my kids, I am definitely eyeing out these awesome things. This was our very first ever blogging event. I’m not going to lie to you – this was a big deal for me. A huge deal really. I had no clue what to expect and I honestly felt a bit overwhelmed, I mean we can’t be viewed as on the same level as Becoming You, Se7en or BettyBake! But I must say that from the moment we arrived we were so well looked after by Loot that I felt totally at ease and getting to meet the bloggers behind the blogs that I follow was a real treat – especially considering how lovely they all are. 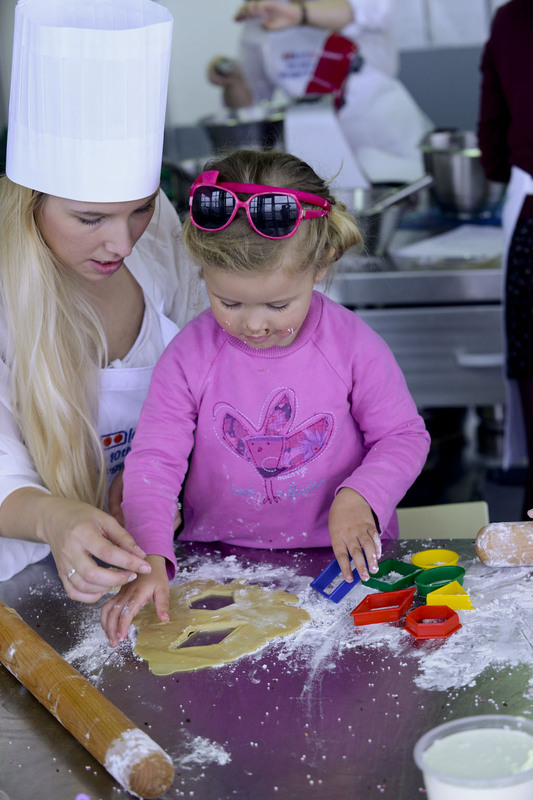 So we had a real blast of a day and I really think that someone should do this as a business – offer cooking courses to Moms with kids. It was a great bonding time with my girls and they are still talking about it now – 3 weeks later! Let me know if you decide to do it – we will be there! Also while we were waiting for the cake to cook, we made biscuits. 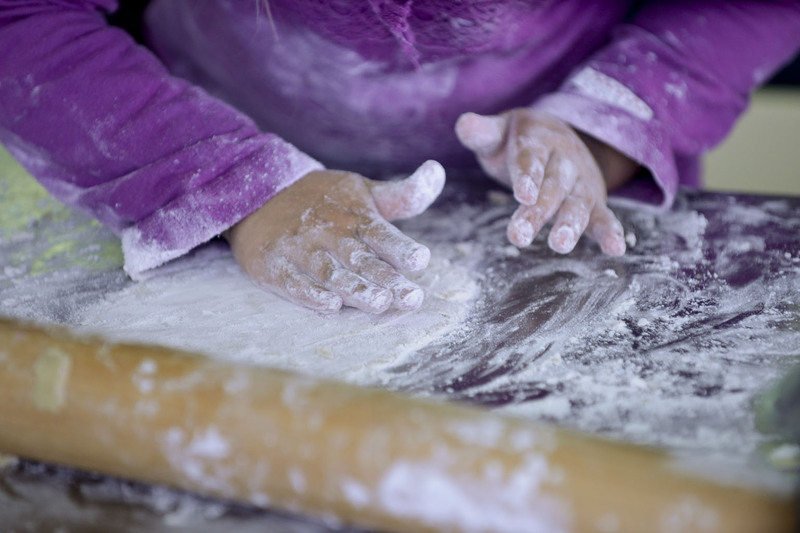 And then when we were done making biscuits, we made sand castles with all the flour and more mess on the floor, but they seriously LOVED IT. Their clothes even changed colour halfway because of all the flour! 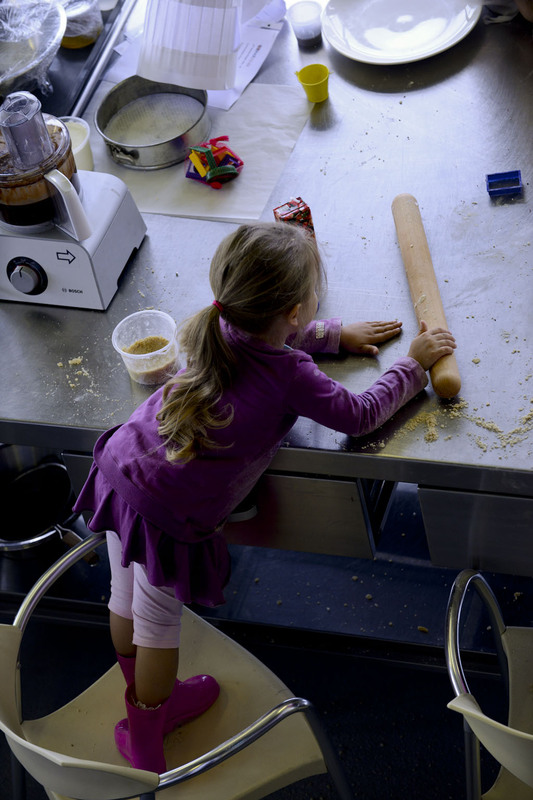 So cool, two bakers in the making….pity the kids didnt get aprons as well. but it looks like a great time was had by all. if i won i would get the gingerbread safari park cutters, that would do for a few birthdays in the future..
Looks like an event that was loads of fun. I would get the Tescoma Delicia Biscuit Maker and Cake Decorator. beautiful photos. i would get anything from the kitchen aid gadget range. I would get cake tins. I would get a bunch of FANTASTIC books that have been on my Loot.co.za wish list for a very long time!